In case anyone is afraid of the brilliance of the Christian Right, and thinks they can outthink us, don't worry. They can alienate anybody. I was staying at the Mission couching inseccently, feeling sick as a dog. I asked for a day of bedrest, and beacuse it meant missing their nightly indoctrination session, said I needed a doctor's note. That's also why liberal Christians need to send the public the message, we're not like them! The Meek, I never meant to disparage an obesity group at church. Given the medical issues, it seems reasonable, and yes, there is a spiritual element. What I was saying is that as a social issue all by itself without approaching social justice concerns, well, it isn't too prophetic. But along with other things, I see nothign wrong with it. I agree that God's love is what is a central message. (But then what would separate your church from a Jewish one? Not there is anything wrong with Judaism.) And I also agree with the problem that Jesus is Lord tends to be easier to pervert (or at least interpret one way and one way only-- and that's in a fundamentalist way). As a matter of fact the same could be said for the terms Christianity, Christian, grace, Kingdom of God, etc. We, as progressives, have a lot of work to do!! There is a big problem we have in defining ourselves as Christian and having other people (including even liberal media) as seeing Christianity outside of fundamentalism. I think they have done an effective job of defining the debate. I haven't read all the posts in this thread yet, but I got to some discussion about "leaving Jesus behind" and I felt compelled to comment. I would very much like to leave the fake Jesus behind. You know, the one who sanctions warfare and condones hatred and bigotry. The one that excludes people from God's table based on petty differences-- that Jesus. I think it would be a very large mistake to leave the real Jesus behind-- the one who actually lived and spoke as is portrayed in the Gospels. Perhaps the main problem that many disillusioned people have with Christianity have to do with the fact that the fake Jesus is all they ever knew. I believe the progressive churches have a responsibility to introduce people to the real Jesus, because most "Christians" have never even met him. Here Here Lolly!!! I frequently find myself (usually fruitlessly) trying to explain to people who distain christianity that IF people acted on the Gospels their concerns/problems with christianity would disappear. WWJD? Radical compassion. Not petty, divisive bickering. sigh. In case anyone is afraid of the brilliance of the Christian Right, and thinks they can outthink us, don't worry. They can alienate anybody. The trouble is, I think they are getting better at working their cause. My sister, who is in Campus Crusade, is very sharp and instead of telling you you are wrong wrong wrong and destined for hell, hell, hell which is hot, hot, hot :-) she asks you what you think and all. Very crafty, she is. And somewhat typical of a somewhat new breed. They also have "seeker sensitive" churches. Of course they are trying to reach people who are unchurched thru this. I was staying at the Mission couching inseccently, feeling sick as a dog. I asked for a day of bedrest, and beacuse it meant missing their nightly indoctrination session, said I needed a doctor's note. That's also why liberal Christians need to send the public the message, we're not like them! Anyway, I agree with this. The local UMC here is doing a great business (apparently, very large congregation) and they do it thru a lot of slick brochures (of course you have to be reasonably large to afford this sort of thing-- but there could be other ways). But the brochures ask questions, I can remember specifics but things of a spiritual/moral nature. I really think some people do not know there is a "third way" between believing nothing and being a fundamentalist. I think people are looking for answers or at least meaning and community. Lolly, wasn't Gandhi that said something to the effect that he really "likes your Christ, but doesn't think much of Christians". Which "real" Jesus do you have in mind, Lolly? Johnson, Strobel, Brown, NT Wright, Witherington, Meier, Borg, Crossan, Spong, etc. I know this is kinda off topic, but since I brought it up here, I'll post it here. I looked up the Joseph Campbell info. Joseph Campbell was Roman Catholic. He formally abandoned the Church in his twenties. At the end of his life while in a hospital he had some kind of experience with a crucifix hanging on the wall. It's not real clear exactly what that all meant. The reference is: the Editor's Foreword in "Thou Art That" by Joseph Campbell, pg xvii hardcover. The quote: "No, I don't have to have faith, I have experience." is from Chapter 8 Masks of Eternity in "The Power of Myth, by Joseph Campbell, pg 259 of small paperback version. The context is pretty difficult to explain. It didn't have much to do with faith vs experience as we would normally understand that. His "experiences" were the different forces operating in his mind, which could be thought of as inspired by different divinities. See, I told ya, it was difficult to explain. LOL I have quite a few books of Campbell's, but I've never actually read them all the way through. I have a hard time reading Campbell, but listening to him is wonderful. There are several series of tapes in which he reads his works or, in The Power of Myth, has an interview with Bill Moyers. His voice, presence, and tone are wonderful. He's very comfortable, very sure, and very gentle. Our library has several... well woth the time. I think his ideas of the More are bigger than any one system of belief. His gift and passion was to see the interrelatedness (is that a word??? ) and the deeper truths in mythological frameworks across time and culture. Ok, now I want to pull out the Power of Myth CDs again... I've listened to the set twice and heard completely new things the second time.... I'm sure there's more! He can be hard to read. Some of the books that have come out since his death are easier, because they are actually transcripts of lectures. I highly recommend "Thou Art That" about Christian myth. Short book, very good. In my mind, if you find the same truths in unrelated sources across time and culture, you're onto something. Joseph Campbell, Huston Smith, William Teasdale and many others call this "Perennial" or "Primordial", although if you look up those words, the definitions won't quite fit. Thomas Moore (the quote at the bottom of my posts) is interesting to read. Some of his stuff, like "Care of the Soul" is like Campbell's stuff; it weaves myth and mythological meaning into your personal life. Some of his other stuff, like "The Souls Religion" doesn't deal with myth in this way. I think The Souls Religion is one of the best books I've ever read. Have you ever SEEN the interview? The imagery is quite astounding and watching Campbells humor is a trip. Have you ever SEEN the interview? The imagery is quite astounding and watching Campbells humor it a trip. I think the best term for finding the same idea in different places is concurrent validity. I haven't seen the interview - I'll look for it - thanks! Yeah, Thomas Moore is a Jungian psychologist. What I meant was, he sees perennial truths in Mythology like Campbell does. Huston Smith and William Teasdale are perennialists as well, but they focus more on the perennial truths that occur across Mystical traditions instead of myth. My comments about Jesus etc being turnoffs in mailings may seem extreme to some of you, it comes from a sense of frustration that I've dealt with. Let me suggest a compromise: everytime he's mentioned in a mailing, add a couple of sentences about his stance on social issues. I like the idea of "reclaiming" the name of Jesus. Defining Jesus in a way that meets the understanding of Progressive Christians. Much like the UCC is doing now. The one that doesn't teach hatred. This is kind of "bumper sticker Christianity"-- but heck if the right can play so can we. There are a few I like, one is "I believe in the separation of Church and hate". That's my favorite. I feel we could be doing a much better job of placing our position in front of people. that illustrates all his points. After the show ran I got one fo those pictures of the whole earth taken from orbit and used to mediate on it. Not sure where the picture is at this point. :-} It's quite a powerful image for our time. (I read somewhere that that first shot taken was almost a bit of an experiment. The astronauts are given some training in taken good pictures and using a camera, so the astronaut (?) just snapped the picture thinking that it was a nice picture. He didn't know it would be such a key picture in the environmental movement, etc. The experience versus faith comment had to do with his experiencing a mystical union with his Bliss, what we would call God. JC's view of God was similar in nature to Brahman in Hinduism - an impersonal force. I've searched all over the associates area at the Joseph Campbell Foundation and found a few references regarding the crucifix in his room. Joseph Campbell had just as much "belief" in Judeo/Christianity as he did in any religion. He believed that Christianity has many truths to teach and having been raised Catholic, was still connected to the "myth" of Christianity, especially to the mystical view of the "Christ Triumphant". He didn't, however, agree with the traditional Catholic or Christian view of God. 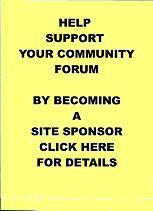 The link below takes you to a pertinent discussion on the JCF forum. You have to be an associate to view it, but it's free to join (plus you get lots of cool free downloads). I've been an associate for a little while now. The websight is very informative. The Joseph Campbell Foundation Forum - Subject: Did Joseph Campbell Convert? I just read and enjoyed this thread. You are all right, Jesus has been kidnapped by the right, and there is a need to claim Christianity because it too has been hijacked. The best tools are humor and love to counter their intolerance and hatred. I don't think we can define one personal relationship with Jesus as what Jesus is, but welcome all descriptions. We are all on different roads going through different things at different times. Some are organizers, some social workers, some philosophers or intellectuals debating philosophy, but if Christ is in their heart they are doing his work. Jesus is loving when we need love and stern when we need to stiffen up a bit. The relationship changes and progresses as we get closer. Every social movement starts with consciousness so when we raise our consciousness the people around us are affected. All boats rise with the tide. The right's weapon of mass desception will have no effect on our Chrisitaniy if we keep the values we hold dear in Christianity and Christ close to our hearts and follow that inner guide. We don't have to define but live the word and the light will be passed on. The right can only pee on a person's leg and tell them it is raining for a short time before they change position. Hello, I am new here. I couldn't find anyplace to introduce myself, so I decided to reply to thins nice thread. It speaks to many of the things I have wanted to consider. Anyway, I just wanted to let you know I am here. I notice you have a member with the same name I have, although spelled differently. Since it's such an unusual name I was going to email her, but I can't figure out how to do that either. No intrusion! Welcome! If you want to send a "personal message" to someone, just click on their name and then click on send a personal message. Nice to have you here. The board has been way too quiet lately. My name is an alias, btw. It's a play on the word "lethe", the mythical river that we drink of between incarnations so that we forget our previous life. Rivers - as in the river Lethe. Elithea is your real name? Very pretty. I was going to choose the name Mnemosyne, which has a similar meaning to Aletheia, but was too complicated. Aletheia - "forget our previous life" - so, does this mean you believe in reincarnation? I thought "Aletheia" meant wisdom goddess or something like that. Similar to Athena. Some place around here you said you liked my new avatar. Thanks. I went crazy and made a bunch of them. The waterfall turned out good. Just cut them out of scenery pics I had. I have an autumn trees one too, but that's too similar to your avatar, so I'm not using it here. This keynote address was delivered by a young progressive religious leader. I invite you to read it.